Samsung says they have recalled nearly 85% of Galaxy Note 7. Samsung has a two-pronged plan for those users who still hold Samsung Galaxy Note 7. We all know about Samsung Galaxy Note 7 issue. The phones are exploding due to some serious problems in the factory battery anode and cathode cell contact. We have also seen Samsungs throwing up extra $100 to encourage people to turn in Samsung phones. Samsung had also launched a replacement program, to replace the existing Note 7 to the “Safe” ones, however, the so-called “Safe” units of Galaxy Note 7 also started catching fire. Looking after so many issues, the company permanently suspended the production of Galaxy Note 7. However, there are still many people who haven’t replaced their phone and are quite happy with it. 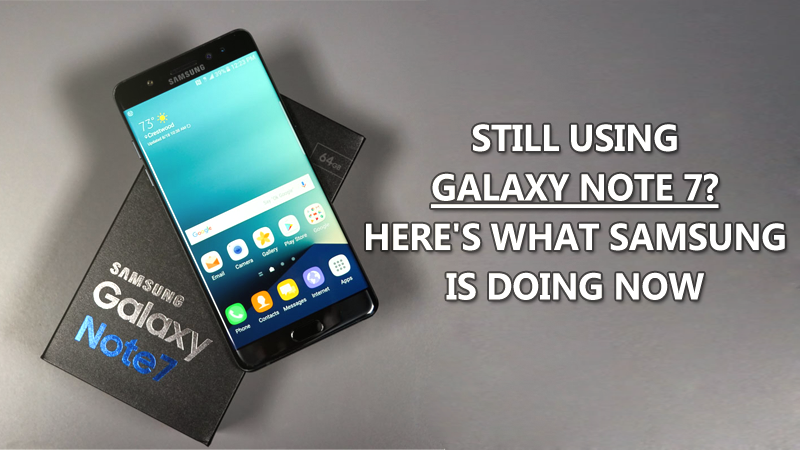 Samsung had announced a few days ago that “nearly 85% of all recalled Galaxy Note 7 devices” have been either exchanged with another Samsung handset or have been swapped out as part of the refund program. As reported by TechRadar, Samsung had mentioned that nearly 85% that means there are still people using Samsung Galaxy Note 7. For those users, Samsung has just introduced the two-pronged plan. The first plan is to release a software update that will prevent the Samsung Galaxy Note 7 from charging beyond 60% this is to prevent overheating, the update will roll on within the coming days. The another one is to deliver a pop-up notification whenever you charge, reboot or turn on/off your Samsung Galaxy Note 7’s screen. The pop-up notification will urge users to stop using it and motivate the users to exchange their phone. So if you still hold Samsung Galaxy Note 7, don’t ignore the company’s recommendation. Get in touch with the company’s retail store and replace it as soon as possible.